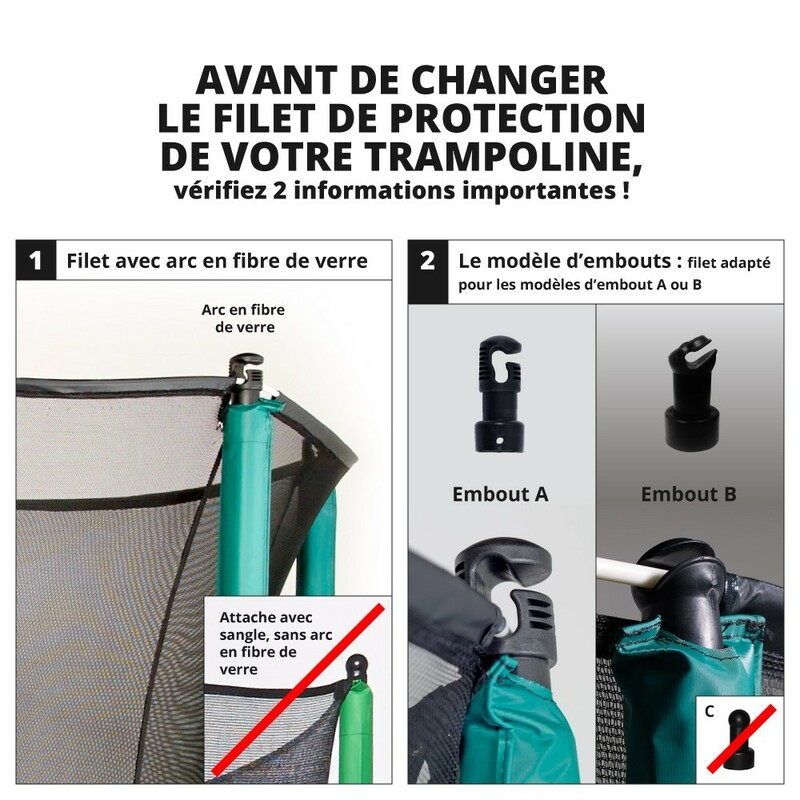 The enclosure ensures user safety on a trampoline as it stops them from falling off. If the posts of your trampoline are in good condition but the netting is starting to show signs of wear and tear after several years of use, we advise you to replace with our premium textile net. 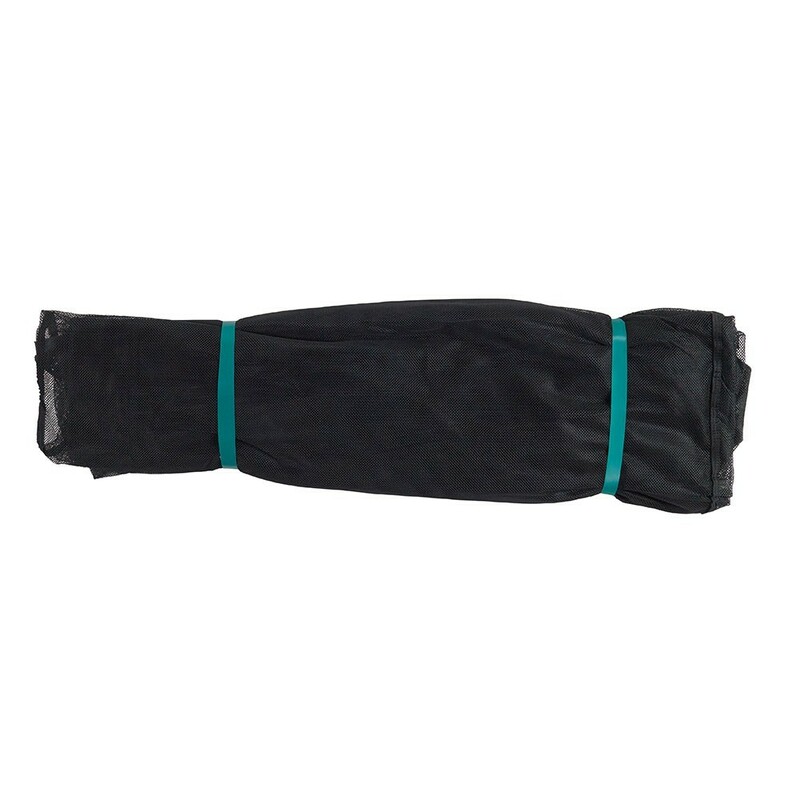 - This replacement premium textile net is designed for our octagonal 14ft Waouuh 430 trampoline. 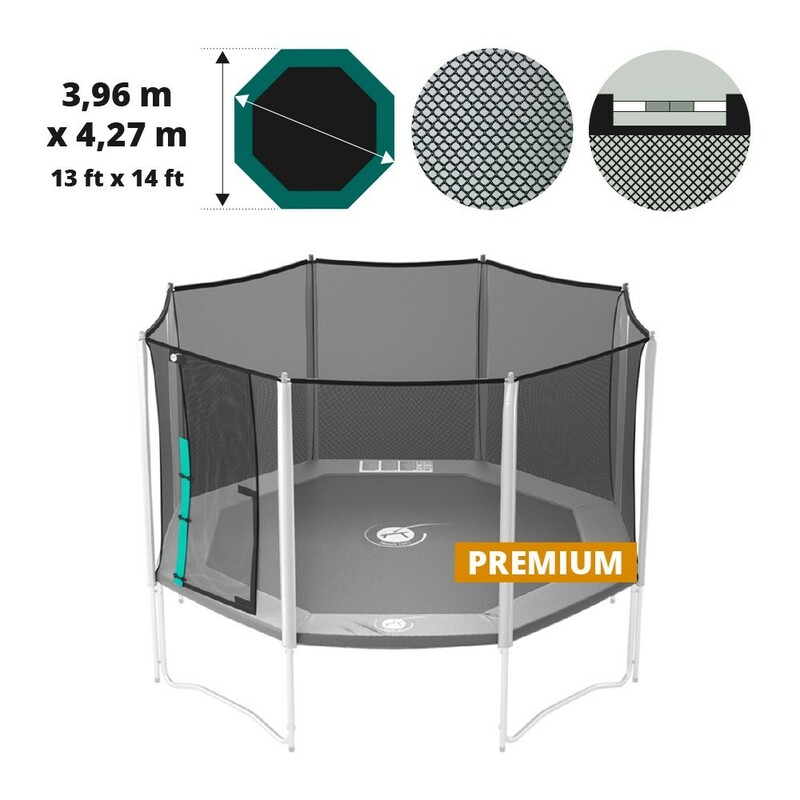 It is also compatible with other octagonal trampolines that have the same dimensions, that is to say a diameter of 4.23 m x 3.96 m, with 4 feet and 8 net posts. 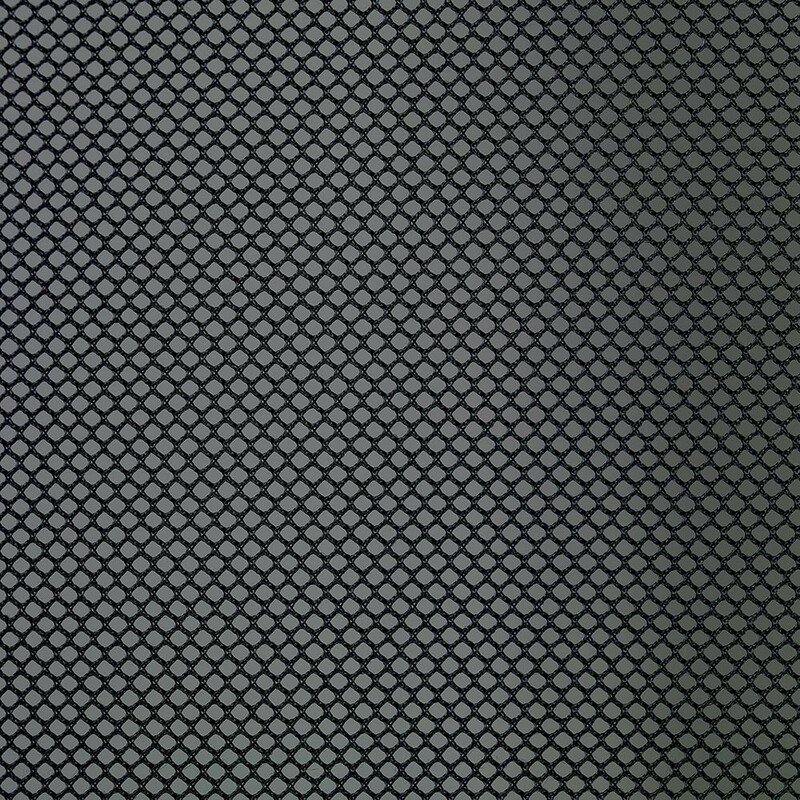 - The net is made with polyester netting which is renowned for its solidity but also its softness, unlike polyethylene which is regularly used on discount trampolines. 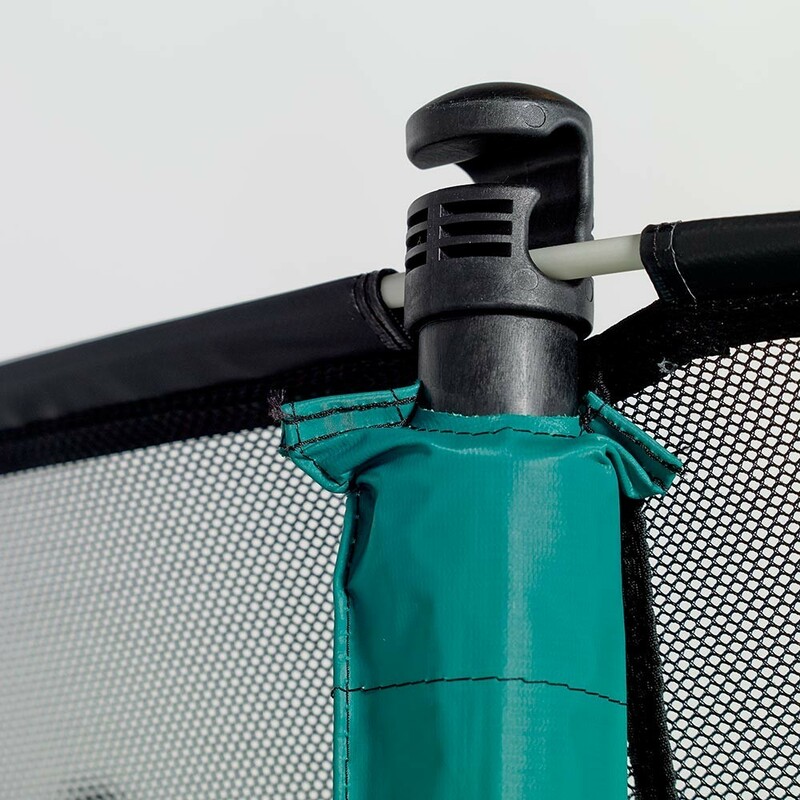 The tight netting will stop children from getting their fingers caught while jumping on the trampoline. The netting is also treated against UV light which will allow you to leave your trampoline outdoors for many years. - The bottom of the net is attached to the trampoline thanks to elastic straps with hooks which fix onto the jumping mat rings. - The top of the net fixes onto the top of the net posts thanks to fibreglass rods that allow net tension to be spread out equally. - Access to the trampoline is secured by an overlapping entrance. 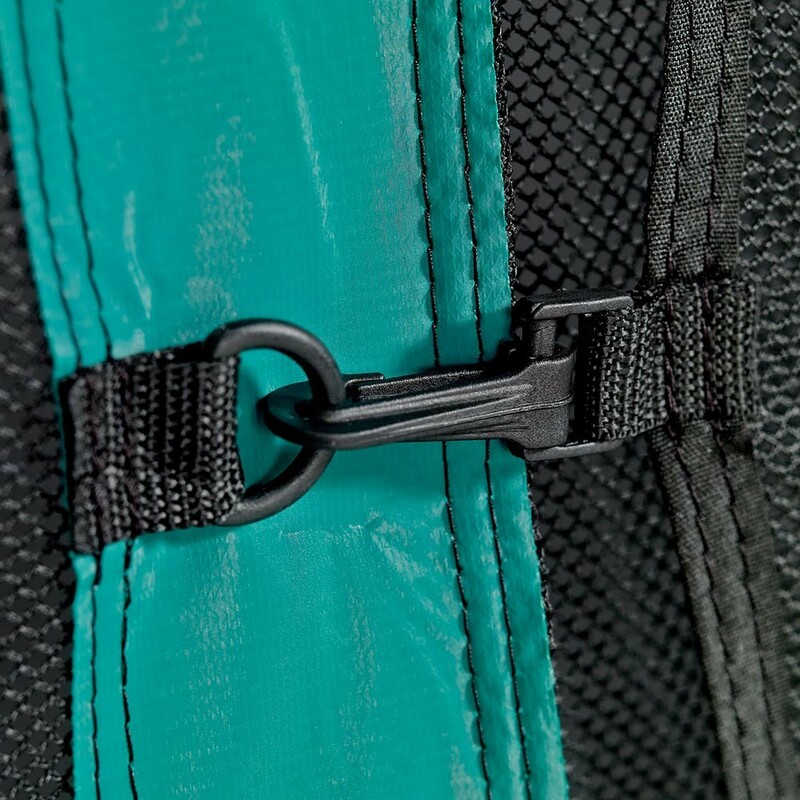 A large strip of Velcro allows you to close the net form the inside and a set of clips will allow you to close the entrance from the outside. This double closing system will stop users from falling off the trampoline. Filet de bonne qualité mais pas facile à mettre en place.